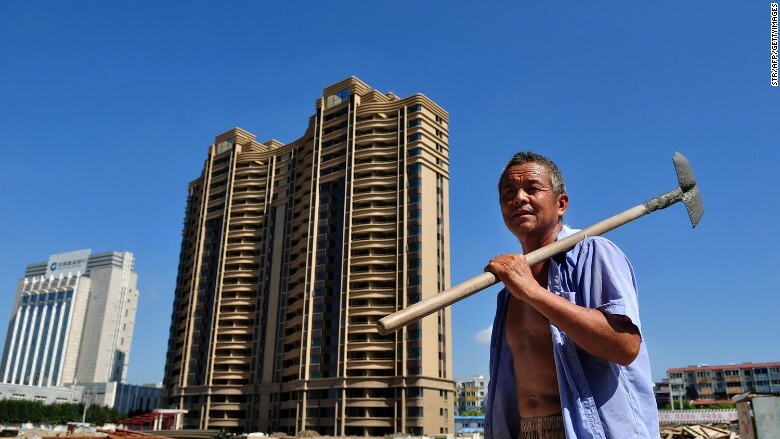 A construction laborer working in China's Zhejiang province. China's working age population is estimated to lose 90 million workers over the next few decades, according to the World Bank. The workforce is expected to shrink by 10% between 2010 to 2040, an issue exacerbated by a rapidly aging society. Right now, China is home to more seniors -- 114 million age 65 or above -- than any other developing country. China, the world's most-populous country at 1.4 billion, "will grow old before getting rich," said Philip O'Keefe, lead author of the World Bank report. China's working age group fell in 2012 for the first time in decades, and the decline has continued since, according to the National Bureau of Statistics. Beijing has recognized the dual challenge of a declining labor force and aging population to its economy, as the country is now facing its slowest growth since the financial crisis. A demographic shift in China can impact the government budget, labor productivity, and affect pension and healthcare costs. In efforts to tackle this issue, the government announced in October a relaxation of its strict "one-child" policy, which had been in effect since 1979. The rule, brutally enforced via sterilizations and abortions, was changed to instead allow all couples to have two kids. But experts said the policy change was too little, too late -- it's unlikely to help the faltering economy anytime soon, as it will take decades before babies born under the new rules are able to enter the workforce. Other Asian countries are plagued with similar demographic challenges. Thailand and Japan are also estimated to lose 10% of its working age population between 2010 to 2040. Korea is expected to see its workforce shrink by 15%, according to the World Bank.